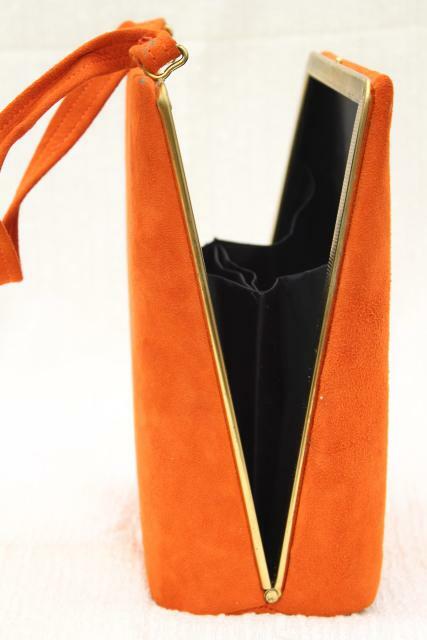 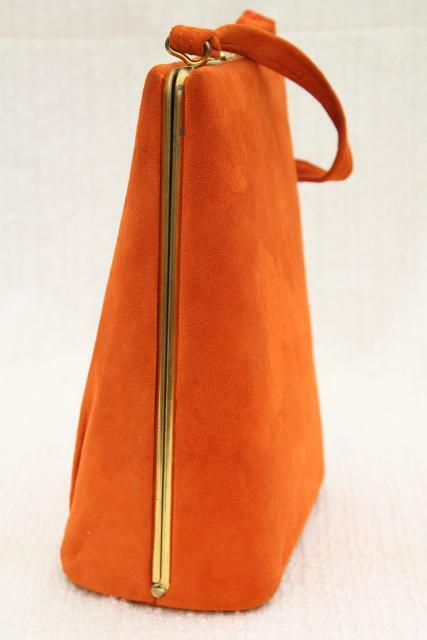 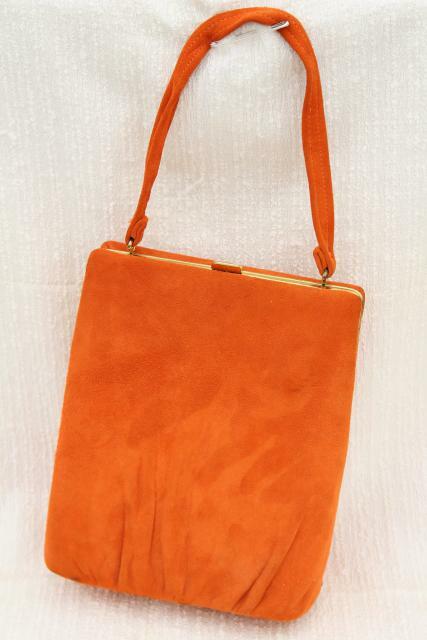 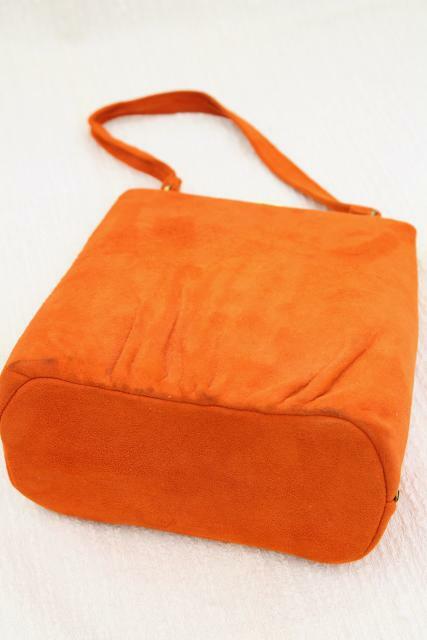 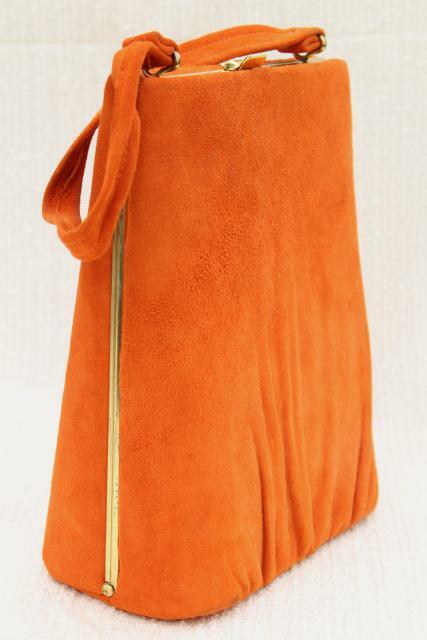 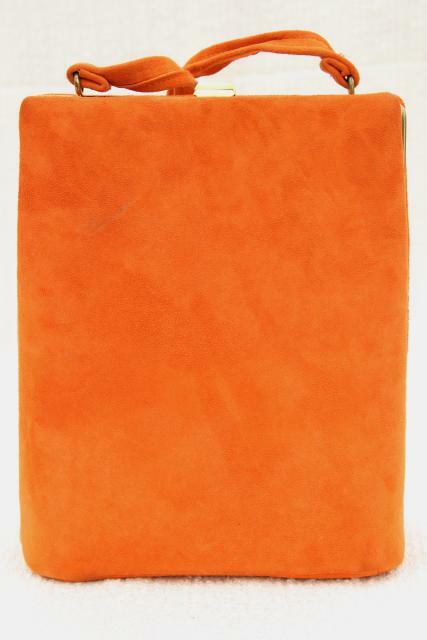 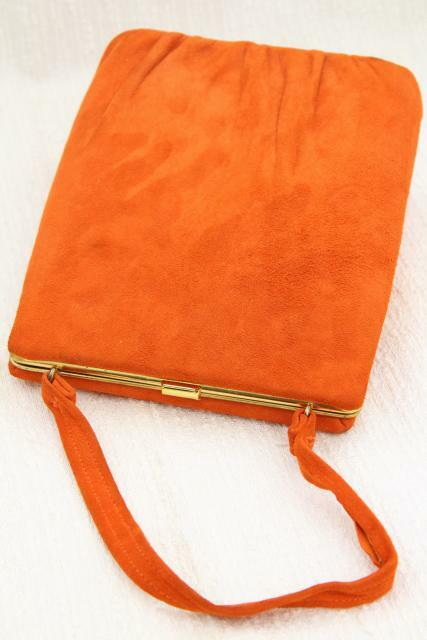 Mid 60s vintage hard sided handbag with trapeze shape in a beautiful rich bittersweet orange color, softest suede. 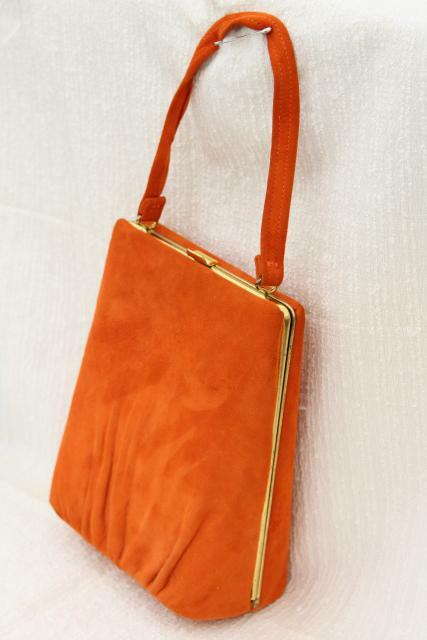 We didn't find a label on this piece, though we'd guess it's Italian leather. 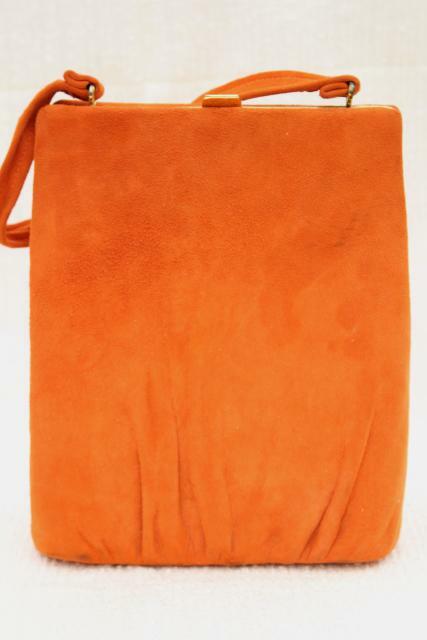 Size is 9" tall x 7" wide, 3 1/2" at the bottom where it's fattest. 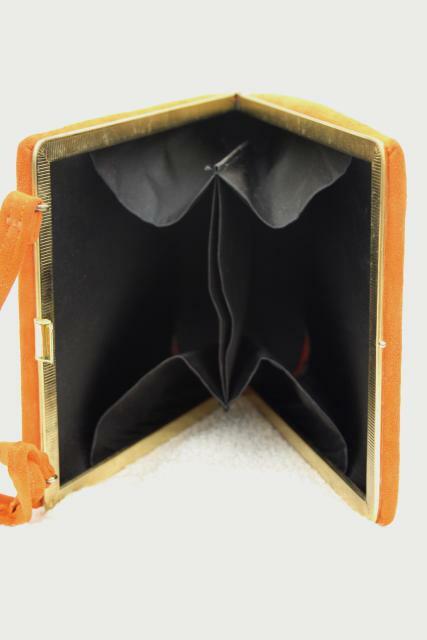 The interior is black peau de soie fabric, very clean. 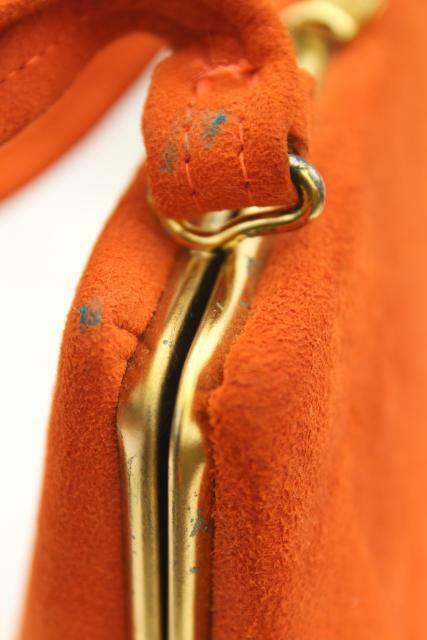 The exterior leather has a few small soil marks or spots - we have not had it cleaned or attempted to clean it in any way. 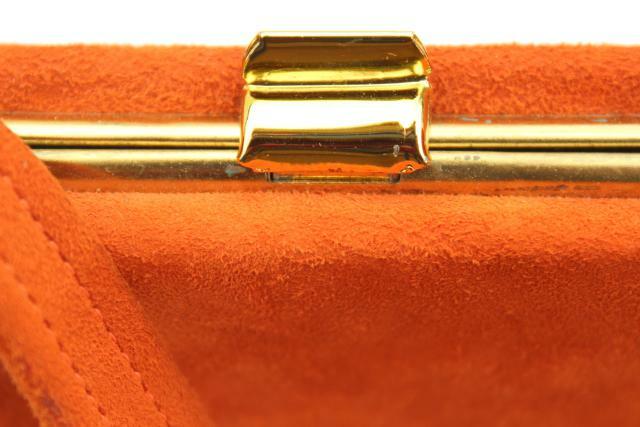 It's in good shape, just gently used, and about 50 years old!